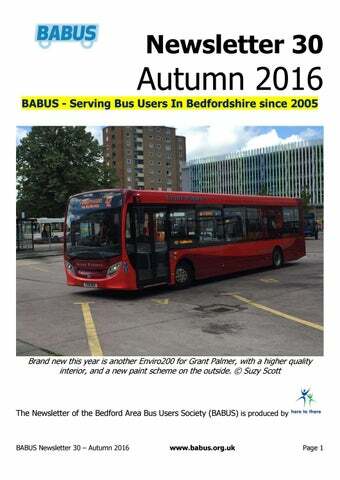 Welcome to the BABUS Newsletter 30 If you have any further questions, you want to send a contribution for the newsletter, or you spot something you think is wrong, please feel free to drop us a line! 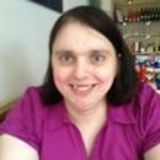 Your Newsletter is compiled by Mrs Suzy Scott, who can be contacted by post at Apartment 4, 3840 Stonehills, WELWYN GARDEN CITY, Hertfordshire, AL8 6PD. E-mail suzy.scott@babus.org.uk and is produced through her company, Here To There Publishing Ltd. Membership queries – including changes of address for your membership, or to change either way between electronic copies and paper copies should be addressed to Mr Simon Norton, BABUS Membership & Treasurer, 6 Hertford Street, CAMBRIDGE, CB4 3AG or by email to simon.norton@babus.org.uk Website or Bulletin Board queries should be addressed to Mrs Suzy Scott, who can be contacted by post at Apartment 4, 38-40 Stonehills, WELWYN GARDEN CITY, Hertfordshire, AL8 6PD. E-mail suzy.scott@babus.org.uk Any other written communications with the Society should be addressed to Miss Frances Horwood, BABUS Secretary, 34 Rectory Orchard, Lavendon, OLNEY, MK46 4HB. E-mail frances.horwood@babus.org.uk Our website can be found at www.babus.org.uk and our Bulletin Board can be found at www.babus.org.uk/bb or via the links on the BABUS homepage. Join our Facebook group www.facebook.com/groups/BABUSbeds/ or follow us on Twitter @BABUSbeds www.twitter.com/BABUSbeds To phone us, simply call 0871 218 then spell out BBUS on your phone. (i.e. 0871 218 2287). When you get through, leave us a landline number where we can call you back. If you prefer to fax, then send it to 0871 218 3293 Calls to these numbers are charged at 10p a minute Service Charge, plus your Network Charge as set by your telephone provider. These voicemails and faxes go through to Suzy by email, and will be forwarded as the situation requires. BABUS does not generate any income from the use of 0871 numbers, as the income all goes to the Service Provider, in return for providing us with a free telephone service. Disclaimer: The views and opinions in this Newsletter are those of the individual writing them, not necessarily BABUS unless stated otherwise. The writer’s thoughts are those of the person, and not any other company or group they represent. Editor is sorry for the delay and brevity with this one, due to health. Next Newsletter Deadline Date for News and Contributions is Friday 2nd December prompt please. This is a little later than usual, so we can add in the usual Christmas & New Year service arrangements details in Newsletter 31. Pensioners and disabled people who qualify for a concessionary bus pass are legally entitled to free bus travel for journeys starting between 9.30am and 11pm on weekdays and all day at weekends. The Council has to pay the bus operators for the cost of this free travel. These savings can be used to protect other essential Council services like care for the elderly. To bridge the funding gap without making savings would require the equivalent of every household paying an extra £309. The proposed £1.00 fare is expected to save the Council around £100,000 each year. Why are we proposing changes? The Council has to make savings of £21 million over the next three years as a result of a reduction in funding from Central Government and rising costs, particularly support for older people with care needs. Like all areas the Council must look at reducing expenditure. What do we currently offer? Bedford Borough currently also pays for the cost of free travel before 9.30am and after 11pm so that up until now pass holders have been able to travel free of charge at any time. Disabled people who cannot travel alone are also allowed to have a companion travel with them for free. community, or of any rural service that you feel should still be free for pass holders. What are we proposing to change? We are proposing to ask pensioners and disabled pass holders to pay a low fare of just £1.00 for any journey starting before 9.30am or after 11pm on weekdays. Bus travel will still be free for pass holders at other times. A companion helping a disabled person who is not able to travel alone will still be able to travel free at any time. What about villages with only one morning bus services? We understand that for some more remote rural villages there may only be one bus service in a morning. We will consider allowing free travel on these services before 9.30am where the whole journey is within Bedford Borough. The £1.00 fare would need to be paid for journeys travelling outside the Borough. We want to hear your views on which services, if any, should remain free. What do other councils do? Many other councils no longer offer any kind of concession for early morning travel. Pass holders often have to pay the normal fare. Online – complete an online response form at www.bedford.gov.uk/earlytravel Email – consultingbedford@bedford.gov.uk Write to – Consulting Bedford, 6th Floor, Borough Hall, Cauldwell Street, Bedford, MK42 9AP Hard copies of documents are available at Borough Hall, the Customer Contact Centre and at all Borough Libraries. The consultation will run from Monday 9 August until 4 October 2016. Comments received will be published. What happens next? Once the consultation is closed we will consider carefully all the responses that have been received. Responses received will form part of the final report to the Executive of Bedford Borough Council at its meeting on 2 November 2016. All those who have taken part in the consultation will be kept informed and key stakeholders written to when a decision is made. By Frances Horwood There had been a few timetable changes: Service 49 on a Saturday had been withdrawn and there had been minor timing changes to Service 42, in order to improve punctuality. The routing of Service 27 via Cople had proved successful. A new service, No. 24, from Bedford to Lincroft Middle School via Kempston, Great Denham and Bromham, was being introduced and would be available for use by the general public. The peak-time service had already started and a more frequent service would begin in August. The route would serve Bedford Railway Station, Bedford Hospital and Bedford College. The company had purchased two brandnew buses, which would be used on Service 42. They were larger than the current vehicles. New drivers had also been recruited. We wondered how the opening of the Western Bypass had affected congestion; we were told no negative reports had been received but the full effect could not be judged until September. Traffic flow would be affected in the case of accidents or flooding. Our next Grant Palmer Liaison Meeting is due to take place in late September. We hope we might be able to travel to Flitwick on one of their new buses! Most of the items discussed at this meeting were updates on matters raised at previous meetings. These included publicity for the code for mobility scooters, updating of roadside information and arrangements during the bridge closure at Biggleswade. BABUS representatives were pleased that a new Great Denham service, No.11, would begin in July; residents in that area had been wanting improved bus services. We asked whether the opening of the Western Bypass had reduced congestion but it was too early to tell, particularly as Tavistock Street had only recently reopened. The potholes on the Bus Station forecourt were raised and we were told this was to be resurfaced. One BABUS committee member raised the poor condition of road surfaces on parts of the X5 route to Oxford; he thought these were bad enough to be detrimental to vehicles using the roads. He would contact the councils concerned (Northamptonshire and Oxfordshire), as would Stagecoach. Our next liaison meeting with Stagecoach is due to take place in September. By Frances Horwood Present: Ray Smith - Chairman Colin Franklin - Vice Chairman Simon Norton - Treasurer and Membership Secretary Frances Horwood - Secretary Suzy Scott - Communications Officer Ian Wigley - Committee Member Stephen Sleight - Bedfordshire Rural Transport Partnership Eight others were present, including BABUS members, representatives of other bus user groups and others with an interest in bus travel. 1. Welcome Our Vice Chairman, Colin welcomed all to the meeting. was elected as Treasurer and would also serve as Membership Secretary. 8. Election of Executive Committee Ian Wigley was willing to stand again. Suzy Scott had previously stated that she wished to stand down from the Committee but would continue to edit the newsletter and look after the website until a new Communications Officer was found. However, she agreed to serve as a Committee Member, on a temporary, part-time basis. Sue Beaumont, who was attending the meeting as a representative of Houghton Conquest Parish Council, volunteered to join the Committee. Colin Franklin suggested that these three be elected en bloc; they were proposed by Ray Smith and seconded by Les Taylor and elected by the meeting. 9. Any other business Les Taylor raised the problem of vehicle breakdowns on Grant Palmer services: when buses were only hourly, breakdowns caused great inconvenience to bus users. He asked whether drivers carried mobile phones to contact the depot. Ray Smith assured him that they did. Colin Franklin pointed out that one vehicle had been damaged in an accident on the Busway, so there was more pressure. Ian Wigley mentioned the new vehicles which had been purchased and were now in service; some older vehicles, which had been replaced, had been retained. Les Taylor thought that the small vehicles which Cedar Coaches had, which must have been sold off, would have been ideal to replace vehicles which had broken down. enough for these. Simon Norton said bus services should be running once some of the houses were occupied but Paul Dodge explained that, if this happened, the money would run out too soon. Paul Spelzini of the Potters Bar and St. Albans Transport User Group said the same problems with developments and Section 106 money arose in his area. In one case, there were facilities for buses, including a bus gate, but no buses ran. In the case of train services, the heavily used Thameslink services from St. Albans City Station were promoted, with services from St. Albans Abbey Station, more convenient for some, being largely ignored. Having two layers of council could make things more difficult than in areas with a unitary authority. Guest Speaker Steve Chambers of the Campaign for Better Transport then gave a very interesting and informative talk on “ Save our Buses” , this being a current campaign of the CBT. There was then a question time in which a number of those present participated. We held a number of meetings with Grant Palmer. Matters discussed included his purchase of two new vehicles and the recruitment of new drivers. We have a good relationship with Mr. Palmer and are kept up to date when changes take place. When we met with Stagecoach, we discussed wheelchair access, the weight and dimensions of mobility scooters which are permitted to be carried and use of the wheelchair space for pushchairs, which is an ongoing issue. It is with regret that I have to announce that Mrs. Suzy Scott has decided to step down from the Committee. She has worked long and hard to edit and publish our newsletters and administer our website. We now need a new Communications Officer to carry out these responsibilities; if necessary, the two parts of the role, could be carried out by two different people. There is also a need for committee members without specific responsibilities. They should have internet access â&#x20AC;&#x201C; not necessarily at home, since it is available at libraries. We have some challenging times ahead, with services under threat from central government cuts to local authority funding. Time will tell how services will be affected. By Suzy Scott This listing below brings things up to September 2016’s changes. Our Online Timetable Library was missing the last update for some reason, but all the new timetables will be up for download from w/c 3rd October 2016. Suzy’s company Here To There Publishing will also be introducing these timetables as a hard copy. These will be in a ring binder, with updates sent regularly to allow the timetable to be always up to date. Whitbread Wanderbus have been given a grant to add a second bus, and more services, to their network. These changes appear on the next page. Stagecoach in Bedford Service 6 (Bedford Bus Station – Brickhill) Times of afternoon school journey revised from 4th September 2016. NEW SERVICE Stagecoach in Bedford Saturday 11 (Bedford Bus Station – Great Denham) New half hourly service from Bedford Bus Station via Rail Station, Bromham Road, A4280, Biddenham (on main road), A428, then a one-way loop around Great Denham. This service runs half hourly Monday to Saturday, from 3rd July 2016. New Barnet is extended to Luton every hour, except evenings and Sundays. Service W8 – Mondays – Shefford – Clifton – Southill Monday afternoon service to serve club at Southill Village Hall – please call for details 0300 123 3023. Henlow and Henlow Camp. Will now terminate at Hitchin and no longer serve Letchworth Morrison’s. Minor timetable adjustments to accommodate these changes. Service W9 – Second Thursday of the Month – Shefford – Clifton – Henlow – Langford – Broom – Upper Caldecote – Ickwell – Northill – Thorncote Green – Hatch – Little Barford – St Neots New Service operating on the morning of the second Thursday of the month to Eynesbury Tesco and St Neots Town Centre. Service W13 – Third Thursday of the Month – Shefford – Clifton – Henlow – Langford – Broom – Southill – Stanford – Milton Keynes Will now operate on the morning of the third Thursday of the month - minor route changes in Clifton, will additionally serve Stop J3 at Milton Keynes, The Point. Service W14 – First Thursday of the Month – Shefford – Campton – Upper Gravenhurst – Shillington – Lower Stondon – Upper Stondon – Meppershall – Welwyn Garden City Will now operate on the morning of the first Thursday of the month - will additionally serve Upper & Lower Stondon and will run direct via A1(M) to Welwyn Garden City. Minor timetable changes to accommodate these changes. Excursion to Cambridge – Fourth Thursday of the Month A regular excursion to Cambridge is planned for the fourth Thursday of each month which will be available to all – it is planned to arrive around 10:30am and depart around 13:30. Places will be allocated on a strictly first come first served basis at a cost of £10 Return. Concessionary travel passes will not be accepted – cash fares only. Please email thewanderbus@gmail.com to book your space or call 0300 123 3023.